Join us at our *BYOB* studio as we paint a piece by a local artist! Ticket price includes use of all necessary paint supplies and aprons, instruction, and a 11×14 take-home canvas! 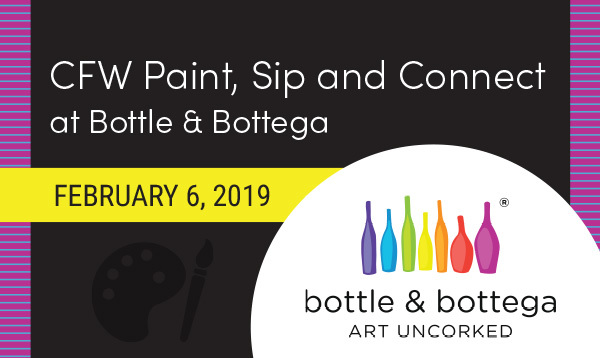 Bottle & Bottega’s painting and wine parties offer a unique way to celebrate. No matter the occasion, our elegant yet relaxed paint and sip parties offer the perfect way to uncork your creativity and create lasting memories. Best of all, we take care of everything. All you have to do is unleash your inner artist! A great night of music, fun, and creativity for everyone. Cost: $40 – BYOB but food provided.